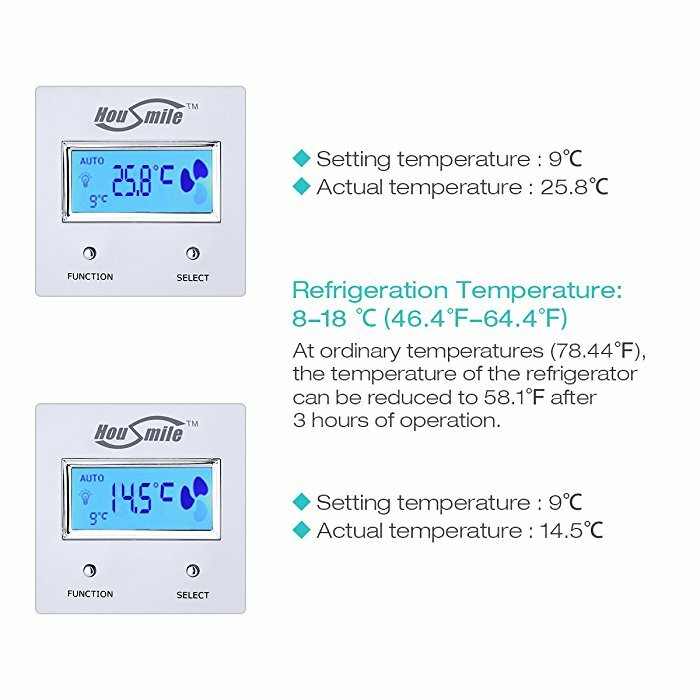 The fridge is equipped with a digital temperature control screen in the front, so you can always monitor the temperature and adjust it toyour needs. 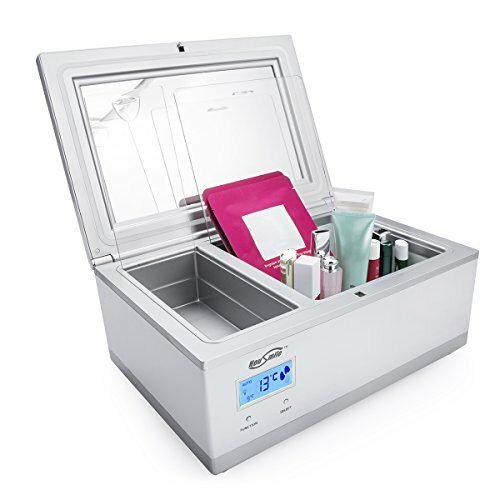 Essential Companion for Female: Housmile cosmetic refrigerator keeps cosmetics’active ingredients in hot weather to prevent bacterial infections, making you attractive and charming anywhere anytime. 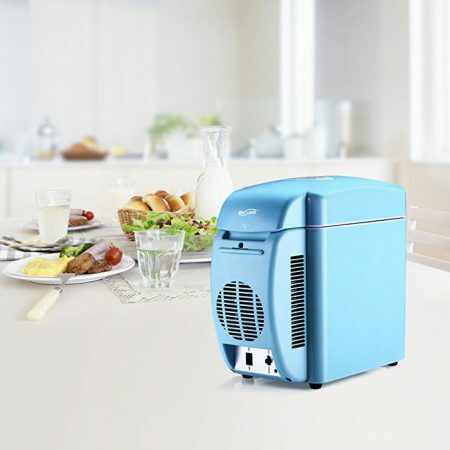 3-liter Large Capacity Compact Design: This refrigerator is designed to chill a lot of medicine and cosmetics (lipstick, facial mask, skin cream etc.). Safe and Eco-friendly: Housmile cosmetic refrigerator is made of non-toxic corrosion-resistant materials, ensuring 100% safe and hygienic. Digital display lets you know the real-time internal temperature. 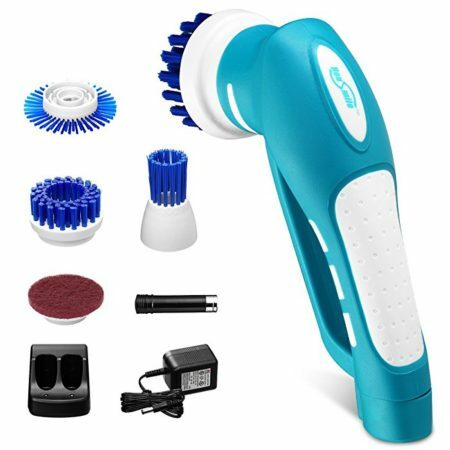 Super Low-noise Design: With working noise, less than 35 dB, and temperature: 8-18 ℃（46.4℉-64.4℉）, it works perfectly to meet your needs. The temperature can be freely adjusted. 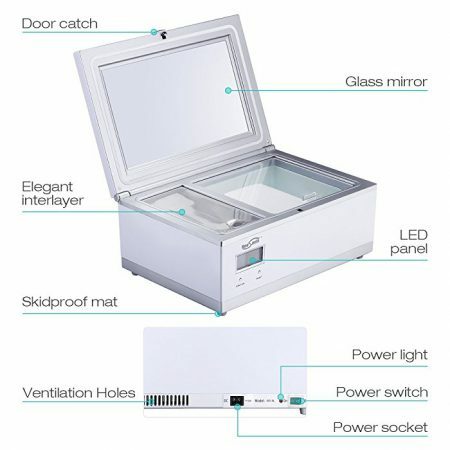 A God-given Gift: Housmile cosmetic refrigerator is a perfect gift for friends, family, beloved ones. It comes in handy, with a beautiful box and a 1-year warranty. 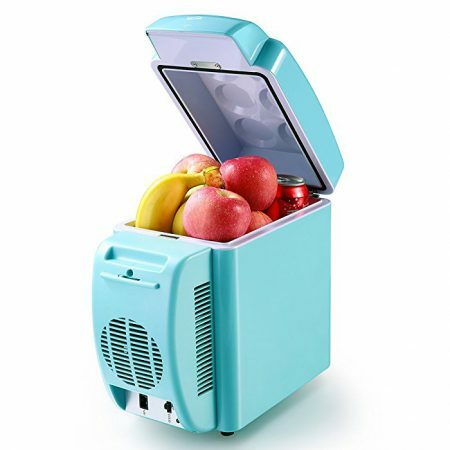 Hot Weather Solution: Housmile portable cosmetic and medical fridge, a perfect companion for travelers who need to bring along prescribed medications and cosmetics. 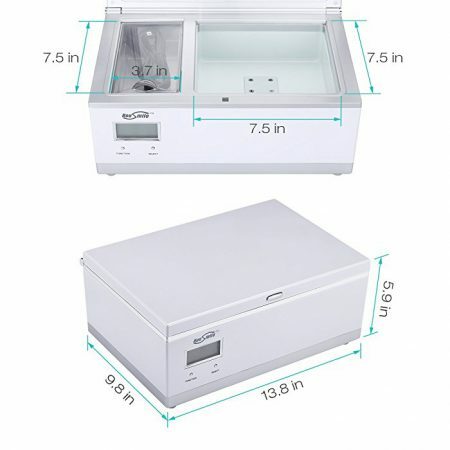 Since many cosmetics and medications are temperature-sensitive, and must be stored in specific conditions to maintain their effectiveness, this cosmetic & medical refrigerator will definitely help you out. It’s also conveniently lightweight, so you don’t have to fret about it weighing more than the rest of your luggage. 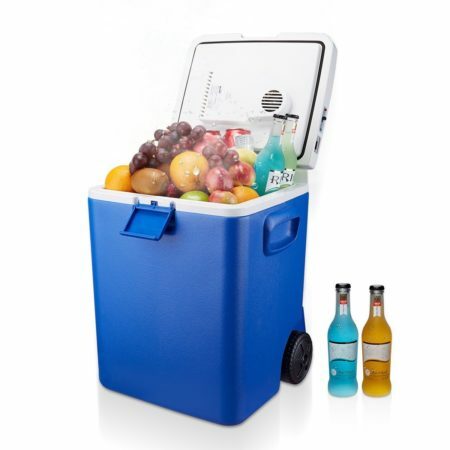 As a bonus, the unit serves as a cosmetic fridge. Now your lipstick will stay shapely rather than melting in the daytime heat. 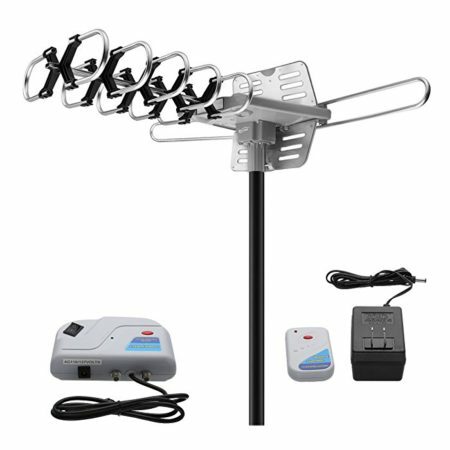 The product is only compatible with AC power. It’s prohibited to use vehicle power supply. 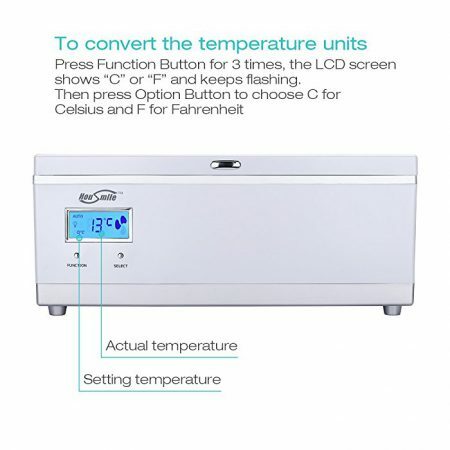 Cool up to 8-18 ℃（46.4℉-64.4℉） below ambient temperature, you can adjust the temperature based on your needs. Housmile cosmetic refrigerator is made of finest quality non-toxic and corrosion-resistant materials. 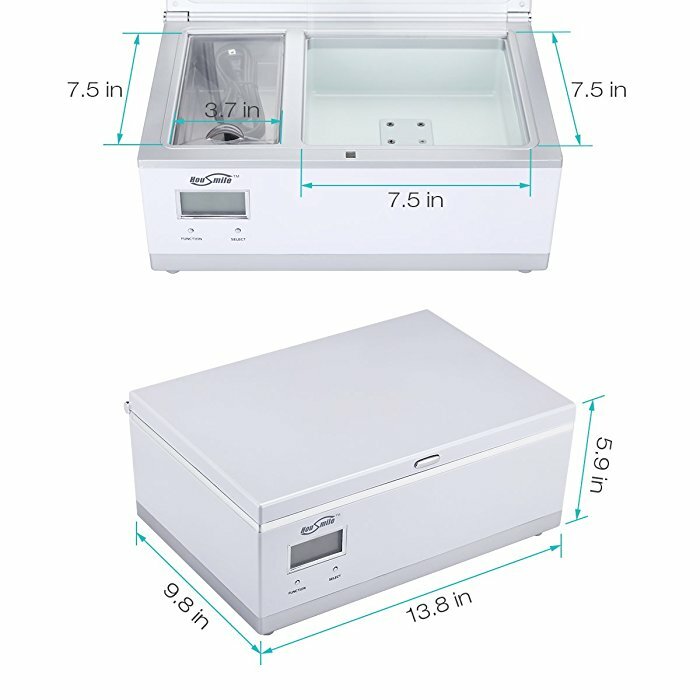 It’s 100% safe, hygienic for your cosmetics and medicines, and the solidly-built hard case is very durable.